The 2018 Racing Season is under way. 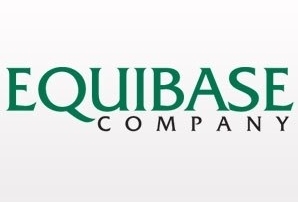 Follow our Facebook Page for the most update to date results from Arabian Racing. Did you see the race today, 24 August 2018, in Ferndale, California? Congratulations to RU Mystified (Status Symboll x On Wings of Fire) ridden by Jesus Valesquez, owned and trained by Helen Shelley that won the 5 Furlongs in the time of 1:11:01. Shelley got a double with the win of number 2, WMA Atlantic. 3. My Werners Equinox owned by Hendrik Smeding. 4. Skeedaddle, 5. WMA Rexella, 6. Kelli O Fadz. 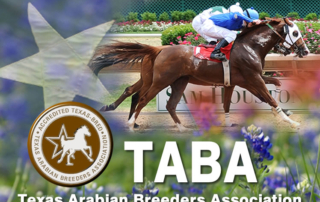 Breeders of 1, 2, and 3 received the Arabian Racing Cup Breeder’s Incentive of $500 each. Bravo all! 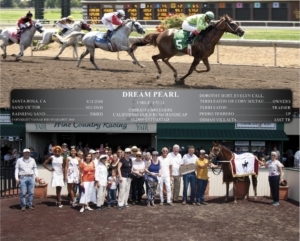 On Saturday, 11 August 2018, at the Sonoma County Fair in Santa Rosa, California, Dream Pearl held off stablemate and rival Sand Victor to win by almost two lengths in the second leg of the Emirates Breeders Gold Rush Handicap II. 5 August 2018, Santa Rosa, California ~ Wine Country Racing held at the Sonoma County Fair has a fair vibe with a sophisticated wine country atmosphere. On 5 August 2018, Fair racegoers were treated to the five Furlong Arabian race which began the day’s card. 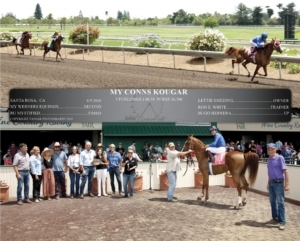 MY Conns Kougar (Johnny B Goode x Here Kitty Kitty by Tiki Tessar) under Hugo Herrera set the pace and was only challenged in the early strides. Stablemate MY Werners Equinox under Jesus Valezquez made a good effort for second. Both horses are from the Snell Valley Ranch and owned by Lettie Smeding and Hendrick Smeding and trained by Ron White. 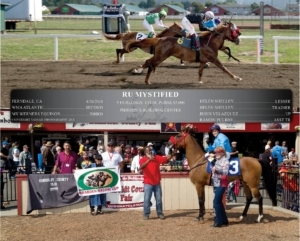 Helen Shelley’s RU Mystified finished third. Winning time was 1:06:58. 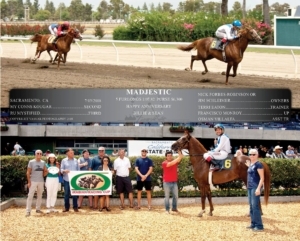 Congratulations to winner Madjestic under Francisco Monroy by over a length in Sacramento 13 July 2018 in the Maiden Special Weight in a field of seven. Total purse $7,800. 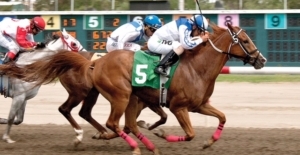 $1,500 added Arabian Racing Association of California (ARAC). 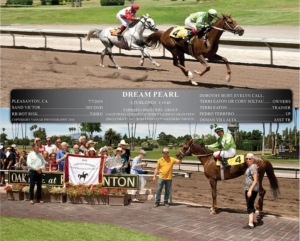 Congratulations to winner Dream Pearl under Pedro Terrero. 2. Sand Victor, 3. RB Hot Risk. 6 furlongs, Prize Money $12,000. 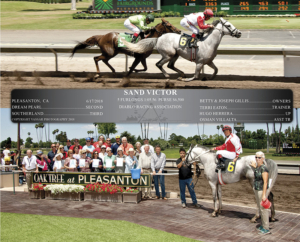 As Arabians once again take center stage in California racing, Sand Victor showed his talent by winning the first Arabian race of the season at Oak Tree at Pleasanton, California on Sunday, 17 June, 2018. 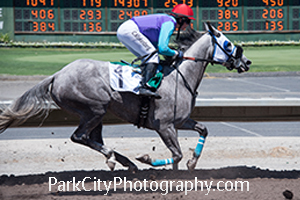 In a race for 3 yr-olds and up of five furlongs, Sand Victor (Burning Sand x Vague de Gemme) came from sixth under Hugo Herrera and stalked the pace breaking five wide around the turn to drive home battling Dream Pearl on the rail for the win. 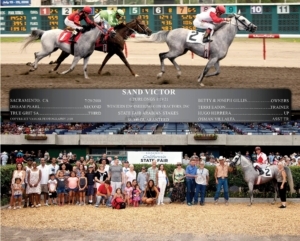 Sand Victor is owned by Joseph A and Betty J Gillis.